What have you been making lately? I hope you are able to spend some time being creative this week! Always love your drawing of girls. Wish I could do that. 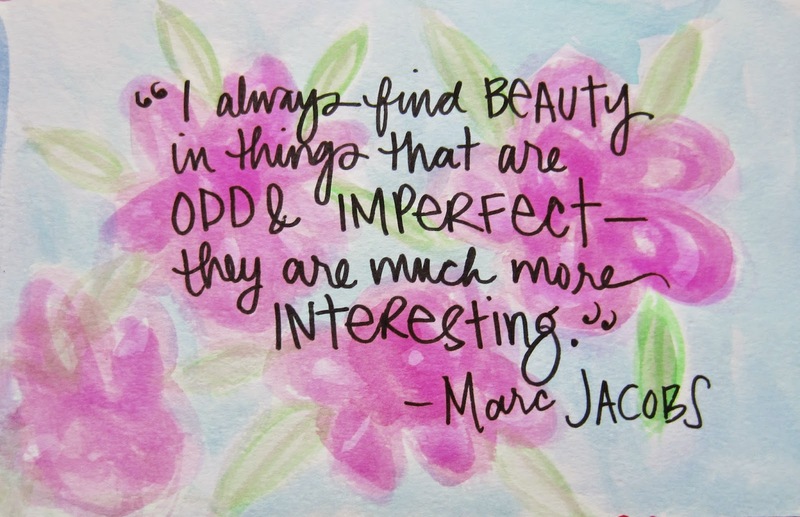 I love that Marc Jacobs quote! And I'm seriously jealous of you ability to draw faces like this. I have a lot of trouble with features. I can never quite get the eyes or nose right. I love the bright pink on both pages too, so vibrant! That's awesome. 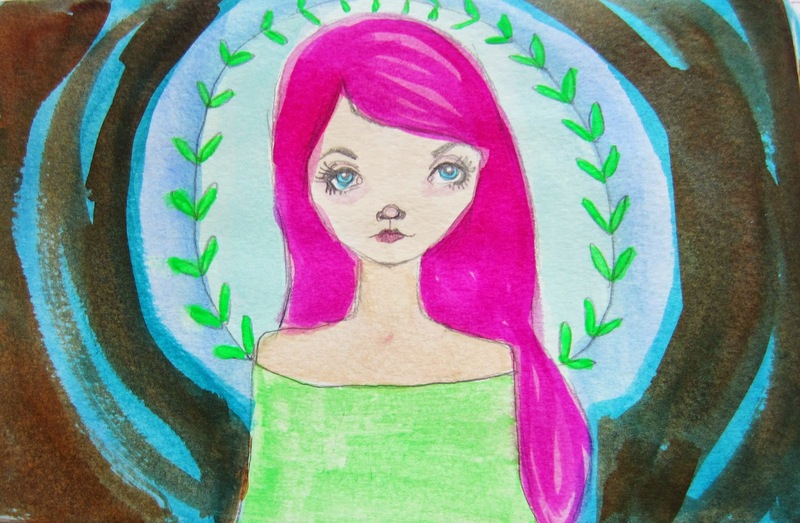 I am terrible at watercolor so you did better then me. And your girl is sooo cute!